Covered by fabric or by leather buttons, buckles and belts is the first kind from the list of company activities we do for many years using equipment and components of german factory ASTOR. Among our customers are famous estonian clothes-factories, small ateliers and private persons. 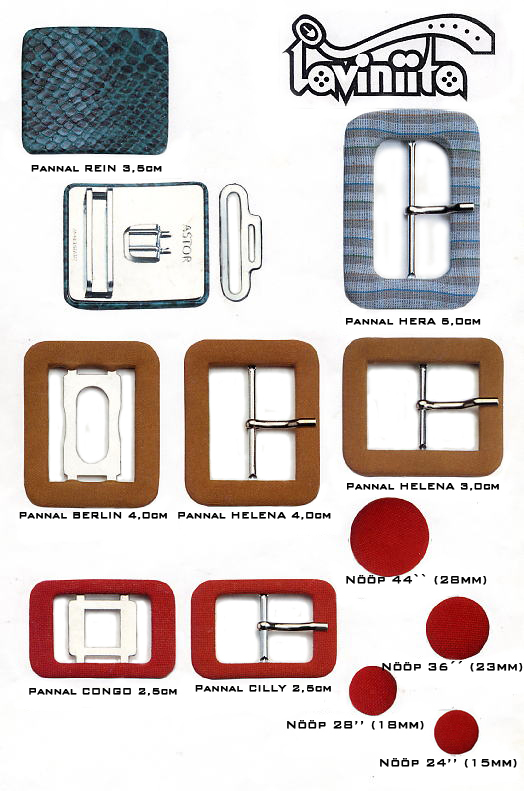 Buckles (width): 2,5cm (CILLY); 3,0/4,0cm (HELENA); 3,5cm (RHEIN); 5,0cm (HERA). Also we sale ready metal buckles. The width of belts can be from 1,0cm till 8,0cm and the length - unlimited. Scallops: white / black / cream / golden / silver / bronzed and "antique" ones. 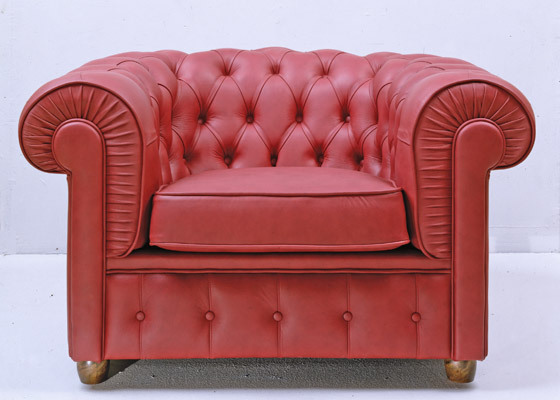 Also we have interesting offer for factories and workshops making or restoring furniture. Our equipment of german factory ASTOR is able to cover buttons also by heavy upholstery and leather. Half-finished parts of buttons ASTOR: PHD (with hook) and PDR (with eye), diameters 28" (18mm) and 36" (23mm). Your order will be ready during one day.